A lot can have up to two “attached ADUs” (AADUs, otherwise known as “mother in law apartments”) or one AADU and one “detached ADU” (DADU, also known as “backyard cottage”) if the limits on rear yard coverage are met. The second ADU may be added only after a piece of property is owned continuously for 12 months by the same owner (to avoid speculative flipping), but the owner of the property is not required to live onsite. There is no requirement for off-street parking. The minimum lot size for adding an ADU is 3200 square feet. Any numbers of related people, and up to 8 unrelated people, may live on a property with one ADU. Up to 12 may live on a property with two ADUs. The maximum floor area of new construction in single-family zones is 2500 square feet or a floor-area ratio of 0.5, whichever is greater. So lots up to 5000 square feet may have up to 2500 square feet of floor area; larger lots may have a floor area of 0.5 times the lot size. The intent of this is to prohibit oversized “McMansion” houses on small lots, thus discouraging teardowns of existing housing and encouraging ADUs instead. The preferred alternative also fiddles with building height limits and rear yard coverage restrictions a bit. The preferred alternative is expected to produce 4430 ADUs by 2027 versus 1,970 under the current rules — more then doubling production. That won’t solve the city’s affordable housing problem by any stretch, but it’s still a contribution. It is also predicted to reduce the number of teardowns of existing single-family housing between now and 2027 from 2,030 under the existing rules to 1,580. The Racial Equity Toolkit evaluation attempts to answer different questions, and in particular how the proposal will impact race-based disparities in the community. On the positive side, it is expected to increase the variety of housing options in single-family zones, and could marginally reduce physical displacement by discouraging teardowns of existing housing to build McMansions, and economic displacement by relieving a bit of upward pressure on home prices and rents. Building an ADU is expensive; a backyard cottage can cost as much as $200,000 to construct. Access to that kind of capital is still mostly limited to wealthier, white homeowners, and an ADU that costs that much to build is unlikely to rent at an affordable price for low-income renters. Methods of lowering the cost of building an ADU will be necessary to make it an accessible option to a wide swath of homeowners. Other cities have adopted a variety of approaches, including having pre-approved designs available, and creating special financing programs for homeowners willing to rent an ADU to low-income renters. 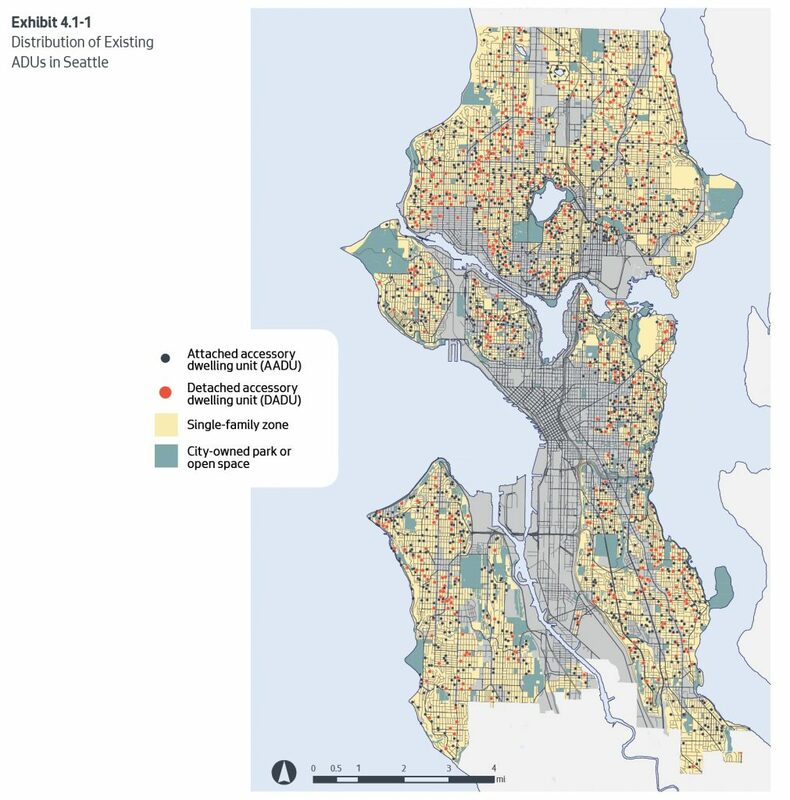 That said, the RET study found that many people in underserved communities contemplating building an ADU are motivated by having a place to live for family members (such as young-adult children or senior parents) and other community members to keep people in place, not for additional rental income. That raises concerns about whether financing programs, if made available, will make much of a difference. Finally, there is a recognition that the planning, permitting, and construction process is time-consuming, complex and costly, and few homeowners have any experience with it. Homeowners — and especially ones from underserved communities — will need help in navigating that process. The RET report concludes by noting that the city doesn’t have a comprehensive anti-displacement strategy, let alone an understanding of whether an ADU-focused program should be a part of that program. 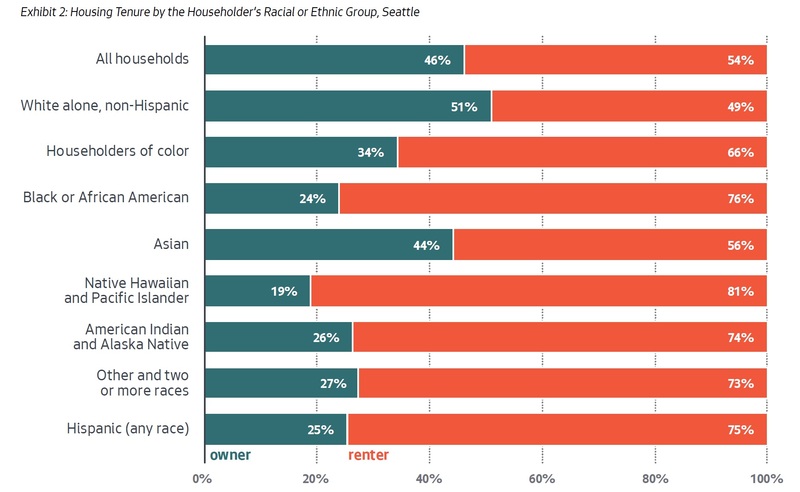 It also points out that homeowners in underserved communities rarely know about the existing city programs and services to help people stay in their homes, including the Office of Housing’s home repair and weatherization programs, and that increased community outreach around those programs might be a better value for many homeowners than trying to build an ADU. The Sustainability and Transportation Community will discuss the RET report Friday morning. As for the Final EIS, any appeals must be filed by October 18th.